Through 15 games this season, Drew Edwards had been a forgotten man. The redshirt junior out of Maryland barely saw the floor for a crowded, yet inconsistent, backcourt until a 19 point, five rebound, three assist, three steal outburst in a double overtime loss to Georgetown on Jan. 12. The Georgetown defeat was Providence’s 16th game of the season, and it also marked the first one in which Edwards had a made field goal. He played spot minutes for the most part, with a trio of DNP-CDs mixed in with games in which he saw five or fewer minutes through the season’s first two months. Edwards had only taken a shot in six of PC’s first 15 games. After playing 29 minutes against the Hoyas, he saw limited minutes the next time out, making his only shot attempt (a 3 pointer) in eight minutes in Providence’s 72-63 win over Seton Hall. With AJ Reeves set to return from injury, it was reasonable to wonder if Edwards’ minutes would be limited following the eight he played versus the Hall, but he has played 52 minutes in PC’s last three games, including 23 against DePaul on Sunday with Reeves returning to the lineup. Edwards scored 13 points in the 70-67 win over the Demons and made winning plays throughout — twice beating defenders backdoor, flashing to the middle of a 2-3 zone for a floater, swishing a 3-pointer with four minutes left to put PC ahead by five, making a pair of free throws with two seconds remaining in a one point game, and finally tipping the ball away on the defensive end at the final buzzer. Edwards has forced his way into the lineup. Ed Cooley has a lot of guards to choose from, but perhaps none is as complete as Edwards — from his defense, lack of turnovers, ability to hit open shots, find creases in zones, and connect from the free throw line. 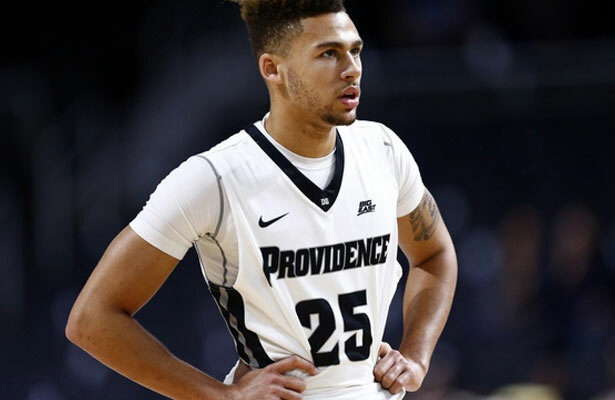 Providence has struggled to find consistency in its backcourt this season, and Edwards is a steadying, veteran presence. Plus, the Friars need shooters. Providence entered Sunday last in conference games in scoring, 3-point shooting, field goal percentage, and at the free throw line. Since playing consistent minutes for the first time against Georgetown, Edwards is 14-26 from the field (54%), 7-15 from 3 (47%), and 13-15 at the free throw line 87%. He is shooting over 90% (19-21) at the free throw line this year. Credit Edwards for his perseverance. This is a player who was on the floor during the crucial minutes of an NCAA tournament game his freshman season. Many remember the inbounds pass he dropped to Rodney Bullock for the game-winner at the buzzer, but fewer recall that he was on the floor for much of the final ten minutes. Cooley and his staff have shown trust in Edwards in big moments. 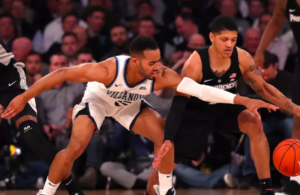 He was on the floor for the final 10 minutes and overtime of last year’s Big East Tournament championship against Villanova and forced Jalen Brunson into a pair of critical turnovers. Those moments have not come as frequently as Edwards likely would have wanted. A knee injury cost him most of his second season in black and white, and it appeared as though he just couldn’t find himself offensively last year. Not many players could respond when called upon, as Edwards has done this season. Fewer would have the patience to wait. 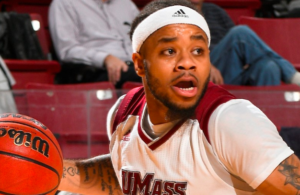 But suddenly, it looks as though Providence’s backcourt could be rounding into form. Reeves didn’t just return yesterday, he did so in style. The freshman knocked down his first two 3-point attempts after nearly two months on the shelf, and finished with three 3-pointers by halftime. Providence shot just 4-21 from 3-point range on Sunday, with Reeves making 3-6 and Edwards drilling their only 3-pointer of the second half when he hit the huge one at the four minute mark of a back-and-forth second half. 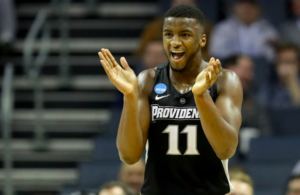 It’s been a long road back for Edwards, and now a player who hadn’t made a dent in the rotation for much of the season is looking like an essential piece for Providence. Completely agree on Edwards. Have been wondering why he hasn’t played more, especially with the young guards struggling to make others on the team better. He plays D, handles well enough to go to the hoop, passes well and can shoot. NONE of the other guards can do all of that. I certainly believe that Drew has earned more playing time. On a team with so much young talent I have been concerned all year where the leadership would come from. With Emmit Holt unable to play everything has fallen on Alpha Diallo who has been a stud but cannot do it alone. It is great to see Drew excel with the opportunity he has been given. Its hard with so much talent to keep everyone happy with playing time but going forward I expect to see Drew on the floor leading by playing hard,smart ball. Go Friars! Finally, Cooley using Edwards. I hate to say it, but Ashton-Langford should be the odd man out moving forward. For the life of me, I don’t know why teams like DePaul didn’t foul MAL down the stretch because I think he is the worst shooter on the team. It should be Reeves, Edwards, Diallo and Watson logging the majority of minutes. Then you have Jackson, Duke, White, and Young splitting time. Not sure they can count on Nichols yet for much either.